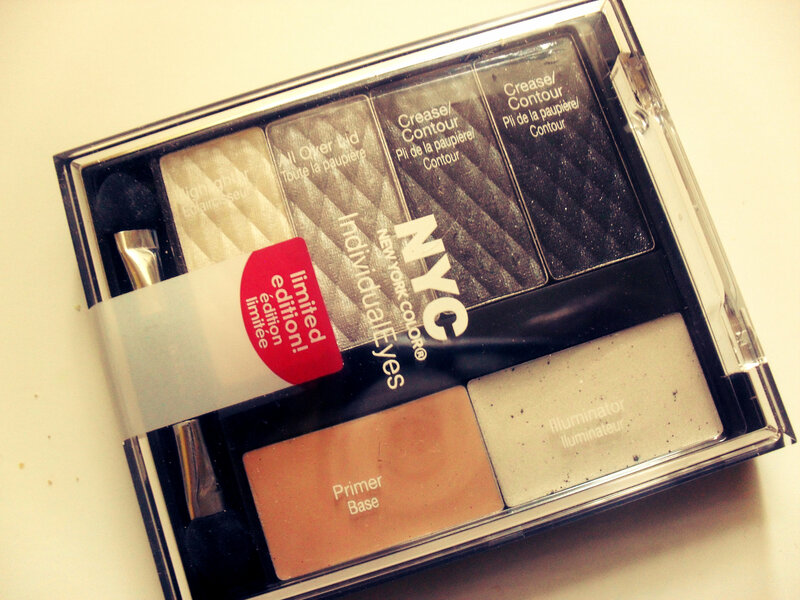 NYC New York Color IndividualEyes Custom Compact Review! 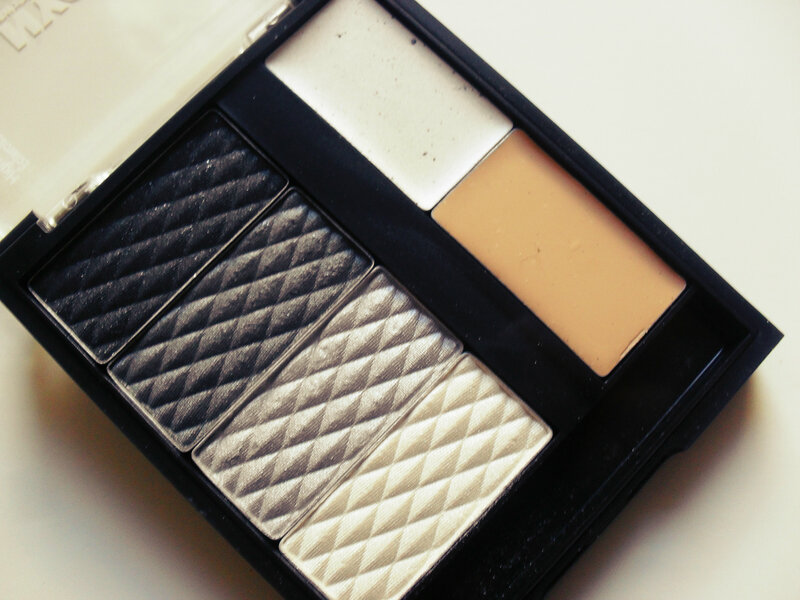 I was lucky enough to get to try the NYC New York Color IndividualEyes Custom Compact in Dark Shadows (0156-08) as a part of the Influenster Beauty Blogger Vox Box program. I’ve been an NYC cosmetics fan since their inception (way back when I was in middle school), and love their IndividualEyes Custom Compacts line. Each compact includes an applicator, four shades of eyeshadow powder, a primer base, and an illuminator base. 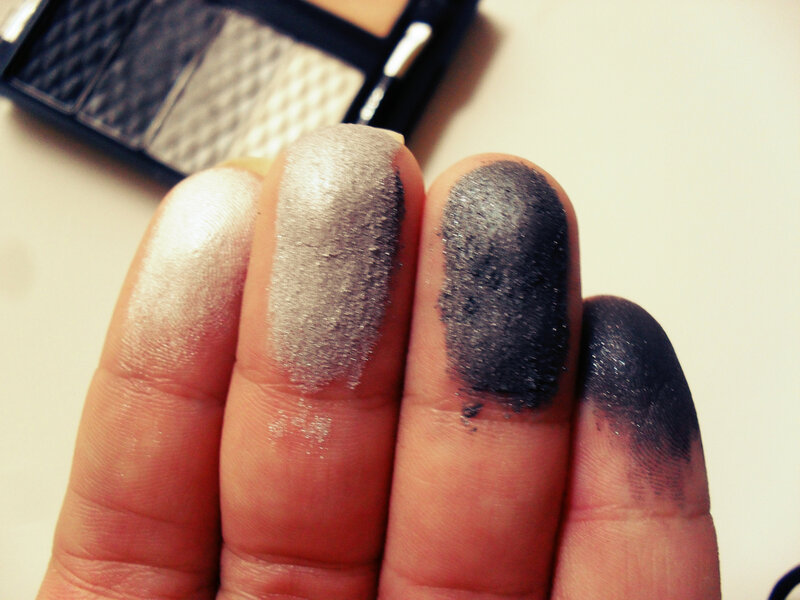 The Dark Shadows compact comes with shadows ranging from white to back, with a nice silver, and a rich grey in between- all of which I’ve swatched for you below! I really loved the shadows, they weren’t terribly pigmented – however, they were consistent and buildable which is great when you’re working with heavier colors like these. I have pretty oily lids, so the primer base – which is creamy/oily, did nothing but crease on me. However, my sister has dryer lids and it worked nicely for her. I love the illuminator – it works as a great highlighter. It’s buildable, but you have to rub it in well. The compact also includes a convenient application guide – a great little detail that I just love! Overall, it’s a great beauty find, and at such a great price it definitely deserves a spot in any beauty-lovers make-up collection! Each IndividualEyes Custom Compact retails at $4.99 in drugstores nationwide – which is a pretty great deal considering that you get four shadows plus a primer and highlighter. Check out NYC’s (New York Color) other offerings on their website here! Previous Post Oz The Great and Powerful : March 8th!